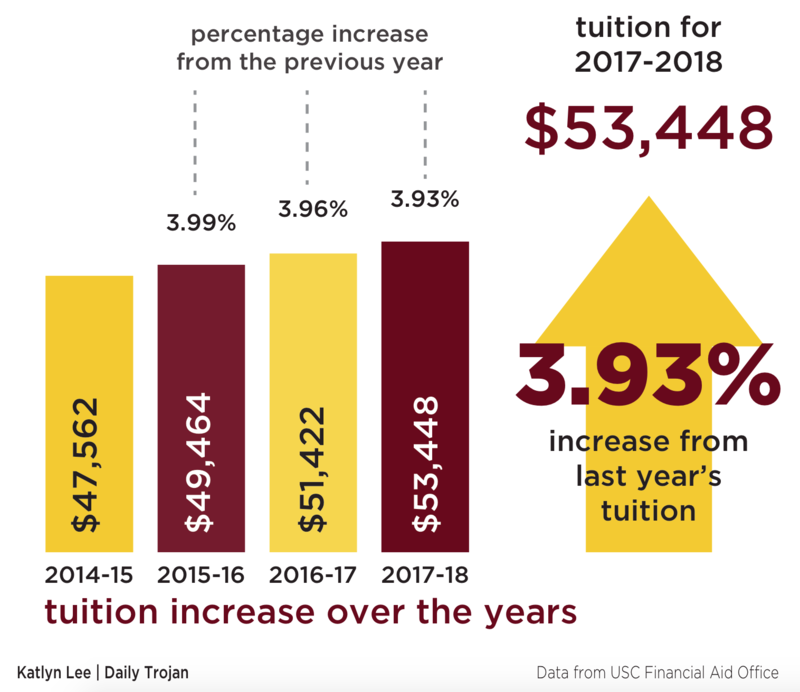 The Board of Trustees has approved a 3.9 percent increase in undergraduate tuition for the 2017-2018 academic year, according to a USC press release. The new cost of tuition, $53,448, is up $2,006 from the current price. 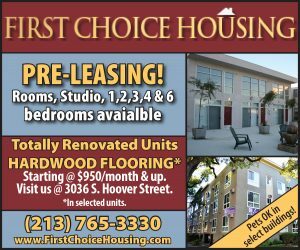 Even with these increases, the University said that full tuition only covers 78 percent of the total cost of instruction, and the average cost of attendance — which includes housing and fees — covers 57 percent. 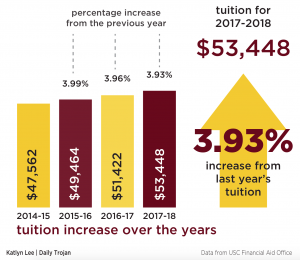 USC also noted that it has one of the largest financial aid pools in the nation, awarding over $545 million each year from all sources, and that Trojans graduate with less debt on average than students who attend other private universities. 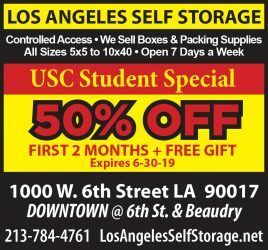 U.S. News and World Report placed USC in the top 10 most expensive tuition rates in the country for the 2016-2017 academic year, with mostly elite liberal arts colleges ranking ahead of it. Undergraduate Student Government President-elect Austin Dunn said he saw the news as a step forward for the University, as the administration was forthright about the news of the tuition increase, though the press release only covered the cost of tuition. 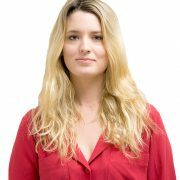 Olivia Deveau contributed to this report. What is all that fundraising money being used for? You’re getting billions in donations and still jacking up tuition? Is it good PR to shoot for the 80K a year COA price tag? So absurd. When I was a student at SC, I remember in one class the professor asked “If you could attend a different school which would it be?” And one student replied, “George Washington University.” So the prof. asks “Why?” The student went on, “It’s the most expensive school….blah blah blah.” I don’t equate how expensive a school’s tuition is, to how invaluable the experience there will be. That is dumb……Instead I go by the WSJ’s rankings. And a few years ago, they concluded that the two most powerful schools in the world, bar none, are Harvard and Stanford. Well, why? because they produce the most billionaire alumni, with Harvard being #1 and Stanford following. Justification for exorbitant tuition.